Dubai is one of seven United Arab Emirates. 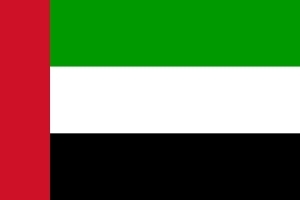 Second largest after Abu Dhabi, Dubai is the most populous emirate. Although its oil and gas fields are lower than neighboring Emirates, Dubai has one of the highest per capita income in the world. The wealth and fame of Dubai are due to the fact that since early 70 the Emirate has began to diversify its economy based mainly on the oil and gas industry. The tax breaks for foreign companies have attracted, over the years, the main foreign multinationals, making Dubai one of the largest banking and financial centers of the world. The Dubai Technology and Media Free Zone Electronic Commerce (TECOM) born from the union between the Dubai Internet City and Dubai Media City, was inaugurated in 2000. It hosts the biggest informatics and media companies of the world, interested in favorable tax regimes of Emirates and absence of restrictions for economic freedom initiative. Jebel Ali, just 35 km from Dubai, is the largest man-made harbour of the planet and the seventh for freight traffic. Close to it, the Dubai World Central International Airport will be soon inaugurated. It will be the largest airport in the world both for passengers and for freight traffic. Tourism and real estate are very developed, thanks to the construction of hotels and residential areas, unique in the world, both in size and architectural features. 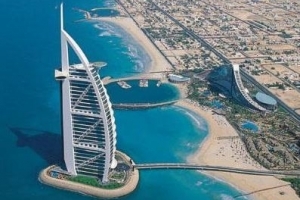 The World, Palms Islands, the Burj al-Arab are only the most famous examples of this Dubai real estate and tourism boom. A development that seems to be unstoppable and not confined to the city, but to all metropolitan area that stretches towards the desert. The law system of Dubai and all UAE, is a mixture of Islamic law (private and criminal law have their main source in the Shari'a), Anglo-Saxon common law and modern European laws, which inspire business and corporate law. Santaniello & Partners has collaborative relationships with leading law firms in Dubai, through which we are able to offer a full legal advice in commercial, civil and criminal law.